See here. 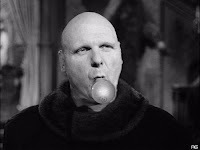 Monkey Boy dismisses the VaporPhone ™ thus: “Their efforts are just some words on paper right now.” Also: “They have a press release.” Not sure but I think maybe Fester’s handlers are getting their cues from this blog. Which is very scary, actually. Well at least Ballmer didn’t use the phrase Operation OpenHandJob. Presumably he’s aware of the fact that it’s copyrighted and tradmarked and there’s a bunch of patents pending. Or maybe he’s back on the “I need to sound grown-up and professional” kick again. Sheesh.